Harness all the benefits of a normal floatation tank without the inconvenience of getting wet with this incredible dry treatment bed. 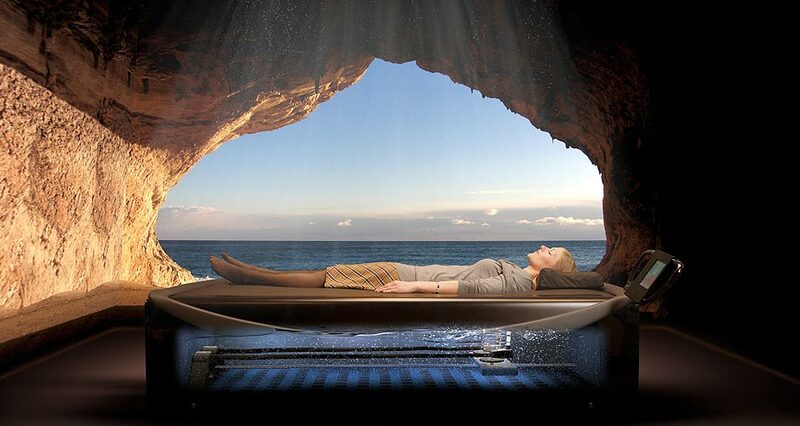 With over half the world enjoying alternative therapies the market for the dreamwaterlounge dry floatation experience is huge. For more detailed information download the dreamwaterlounge brochure. 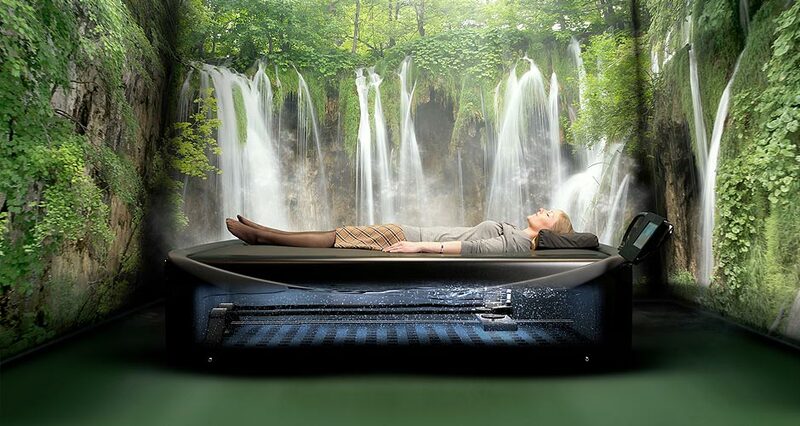 A dry flotation treatment bed would make a stunning addition to your leisure spa or health facility. It will give access to the burgeoning alternative therapy market. 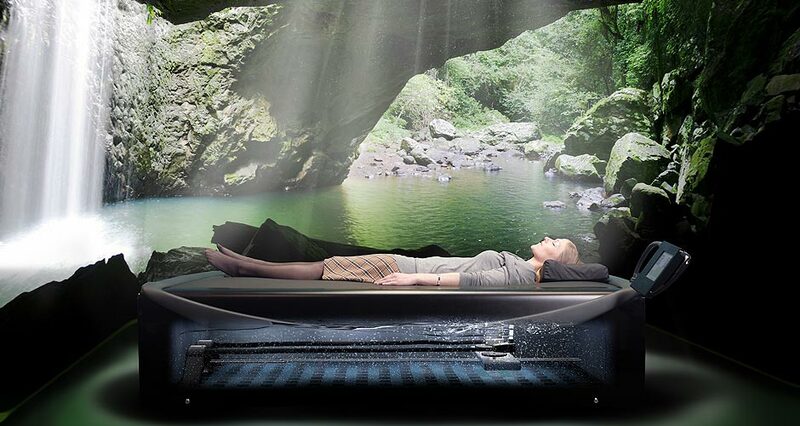 Although the Dreamwater Jet is not a dry floatation tank per se, many people do refer to it as that when describing the treatment bed experience to their friends. This product has been replaced with the Velus Jet hydro-massage bed. Operating the dreamwaterlounge dry floatation bed couldn’t be simpler, with all available treatments immediately accessible from the built in touchscreen library. 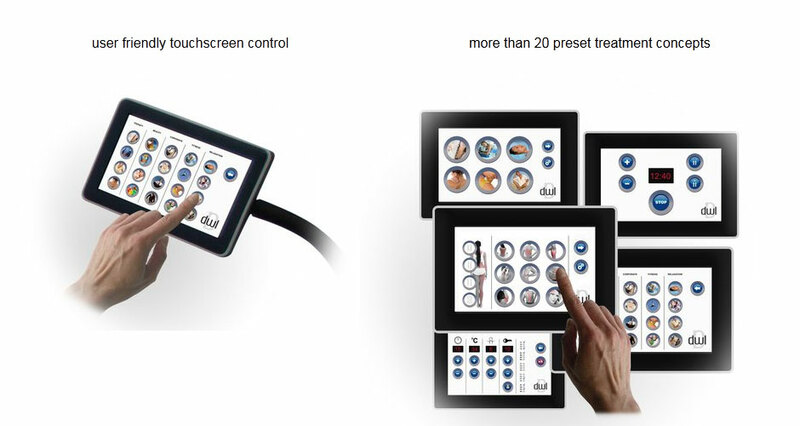 It’s also easy to change the touchscreen layout and language if required. All you need to do is just select the dry flotation treatment that corresponds with that chosen via the marketing material and the program will run automatically. Your employees can just hand out a chipped card to your guests which they can use to begin the dry floatation bed treatment.